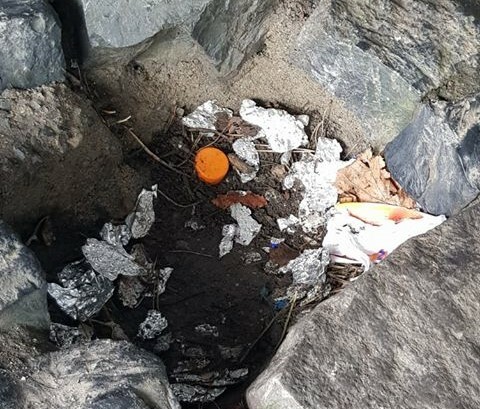 Local TD says it makes her "skin crawl"
A local Newbridge man has documented rubbish that he has found under the Liffey Bridge, including evidence that heroin users are using the spot to consume the drug. Steven Fegan posted a video and pictures on his own Facebook site last Saturday which has since been viewed more than 14,000 times. It includes cans, bottles and a considerable amount of tinfoil used by heroin addicts. He is concerned that it is close to where locals bring their small children to feed the ducks and swans along the riverbank, and says he has stopped taking his own kids there as a result. And he felt the Gardai should install CCTV to prevent it. Mr Fegan says he contacted Kildare County Council who explained that, being under the bridge, it is a matter for Waterways Ireland and that they would contact them. He added that when he approached local Tidy Town’s volunteers, they were hesitant of acting for fear of a risk of infection. “You can’t blame them really,” he remarked. Local TD Fiona O’Loughlin, whose Newbridge office is just on the bridge said it was “an absolute example of where things fall between two stools, between two agencies”. She said that the footage made her “skin crawl”, to the point where she couldn’t watch the entirety of the footage. 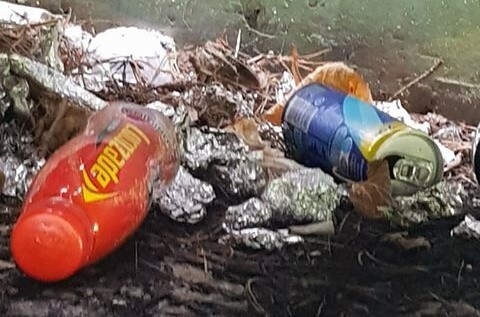 “I was doing at the park the other day, and you know, Newbridge Tidy Towns are doing a wonderful job, and have great pride in their work and in the environment.